Collagen induction Therapy (CID) starts by using Micro-needling to create micro-wounds in the dermis. These channels allow hyaluronic acid or our bodies own PRP (Platelet Rich Plasma) to be driven deep into the skin. This process increases the skins ability to utilize the nutrients up to 3000%. The micro-wounds trigger the body to produce new collagen and elastin. The results are improved skin texture and reduced appearance of wrinkles, stretch marks and acne scars. 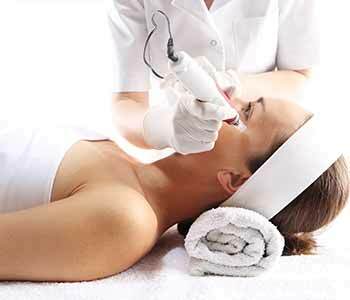 Micro needling treatment uses a hand held needle pen to create controlled depth micro-injuries to the skin. This stimulates the skins natural repair process to produce collagen and elastin. Platelet Rich plasma is the part of your blood that helps clot a cut. These little “power houses” release proteins called growth factors which stimulate new collagen. Anyone that wants to improve skin irregularities. We advise that you come in for a consultation to fully understand the procedure and all pre and post op information. Normally a series of 3-6 treatments is ideal for optimal results. Of course it will truly depend on what condition we are trying to improve and the treatments needed will differ between individuals. When treating acne scars treatments may be greater than 6. Maintenance is also necessary. The majority of patients skin will be red and flushed (like a mild sunburn) for 24-72 hours. It is imperative that you practice safe sun precautions and avoid direct sunlight while your skin is healing. What conditions can be treated or improved with Medical Microneedling?